Fleas are an annoying pest that can hitch a ride into your home on your pets or with people, who may track them in from outdoors on their shoes or clothes. Once they move in, they lurk, feed, nest and lay eggs. According to Healthline, the fleas you see on your pets are only about 5 percent of the fleas that are lurking in your environment. The rest may live their busy little lives in your home – in carpets, couches, dog beds or human beds, or nearly any other dark, sheltered area – or in your yard, mostly in moist, shady areas. A few fleas can turn into an infestation very quickly, so if you have seen fleas in your home, you’ll want to get rid of them fast. Doing so means using a combination of solutions to eliminate them from your pets, your home and your yard. In most cases, fleas in the house land there from pets that live there or visit frequently. Those pets don’t just give fleas a ride into your home, they also provide them with a food source – the adult fleas hopping on them to feed, then hopping off to nest in your home and yard. Getting rid of fleas on your pets can be done in several ways. 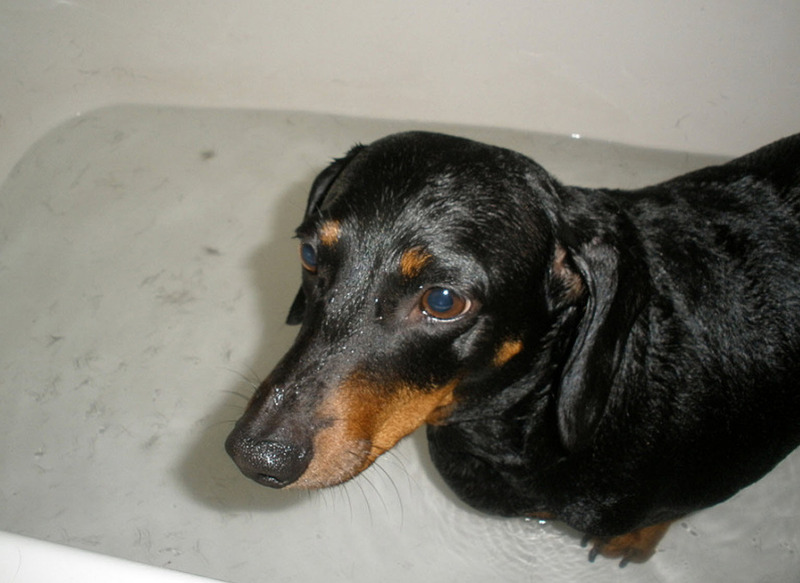 Bathing them with flea shampoo is one way to go about it, but you’ll need to do this at least once a week for a couple of months. That’s because flea shampoo typically only kills adult fleas, which means that you’ll need to keep at it to ensure that new fleas are addressed as they hatch from the eggs the first batch left behind. A flea comb can help control them between baths – just comb through your pet’s fur and drown any fleas that get caught in the comb in a bowl full of soapy water. Flea medications are another good option. These may be topical medications that are absorbed through the skin, or oral medications, such as pills or medicated chews. While many flea medications are available over-the-counter, prescription medications provided by your vet are typically more effective. Flea medications generally must be used for several months to eliminate a pet’s flea problem. Washing all bedding – yours and your pet’s – in hot water and drying it on the highest dryer setting. If you have a serious flea problem, this may need to be repeated every few days for several weeks, especially for pet bedding. 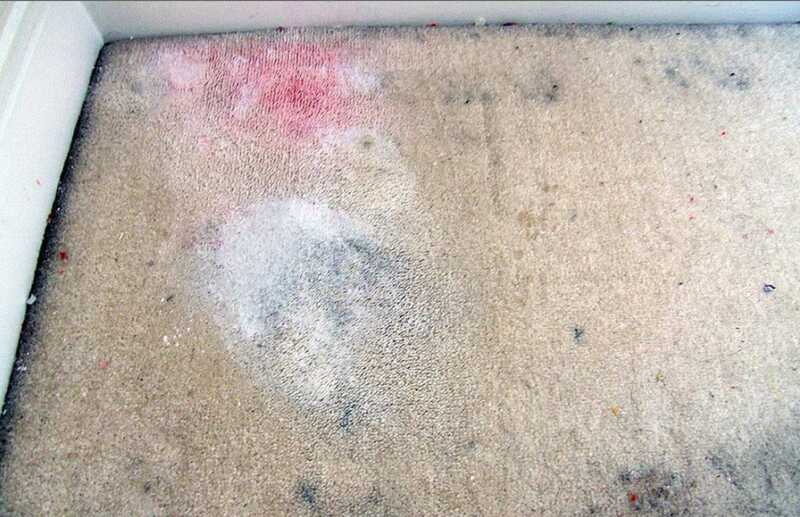 Vacuum floors, carpets, furniture, mattresses and pet beds, paying special attention to cracks, crevices and other tight spaces that provide good hiding places for adult fleas, larvae, cocoons and eggs. Once you have vacuumed your home thoroughly, empty your vacuum into an outside trash can. Repeat this process every two or three days for at least 3 to 4 weeks to ensure that newly hatched pests are eliminated. Use a steam cleaner to get rid of fleas in carpets, upholstery and pet beds. The heat and cleaning fluids these machines use in cleaning work to kill fleas in all stages of life, making them very effective in combating these pests. Apply insecticides to infested areas. Sprays are generally better than bug foggers, since they can be applied in a targeted fashion. The best products will include chemicals that kill adult fleas as well as ingredients, called growth inhibitors, that kill eggs and larvae. Keeping lawns mowed, since fleas like to hide in tall grass. Raking up leaves and other debris that can provide cover for fleas. Trimming bushes and trees to allow more sunlight on problem areas. Using cedar chips in problem areas to help deter fleas from lurking/nesting. Using insecticides, sulfur granules or nematodes to reduce or eliminate fleas, eggs and/or larvae. It is important to note that to get rid of fleas in your home fast, you will need to treat your home, your pets and your yard all at the same time. Neglecting to treat any of the three can make it very difficult to eliminate these pests, allowing your home to be repeatedly re-infested. Finally, if you haven’t been able to eliminate your flea problem with these methods, or simply do not have the time, ability or patience to treat all these areas on your own, calling in a professional exterminator to treat your home and yard is another good option for getting rid of fleas quickly. Keep in mind that you may need more than one visit to eliminate these pests.